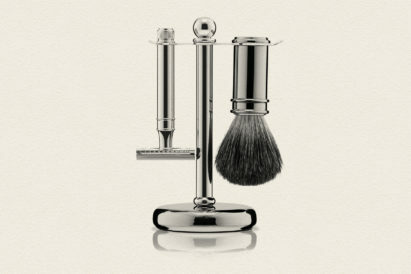 The biggest decision a gentleman must make every morning — aside from whether or not to hit that snooze button one more time — is if to shave dry or wet. 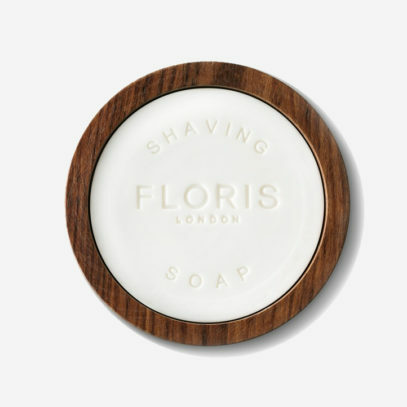 A dry shave can be convenient, a quick whizz over the face with an electric shaver that will seem a godsend if you’re running late. But, with this buzz of electric blades comes the ever-present threat of razor rash or patches missed altogether. 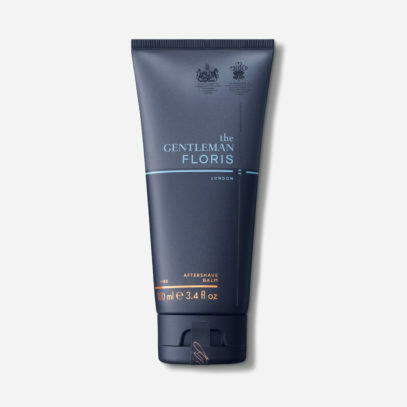 Here are Gentleman’s Journal, we’re always on the side of the wet shave. 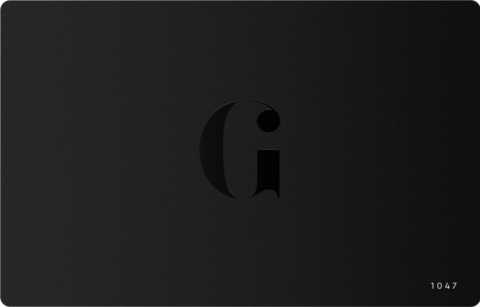 With its tradition, routine and ceremony, it may take a little more time and focus — but all the best things do. 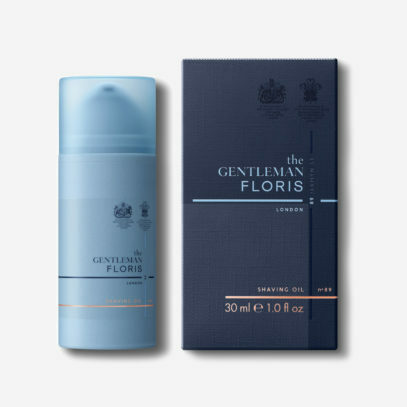 "With this buzz of electric blades comes the ever-present threat of razor rash or patches missed altogether..."
So, to educate those who are already wet shave converts, and to sway those who aren’t, we turned to Edward Bodenham, the director of perfumery for Floris and the latest in a long line of the nearly 300-year-old family-run business, for his top tips. For Bodenham, as with any discerning gent, his morning shave is a ritual — and just as important a morning undertaking as a hearty breakfast and cup of coffee. 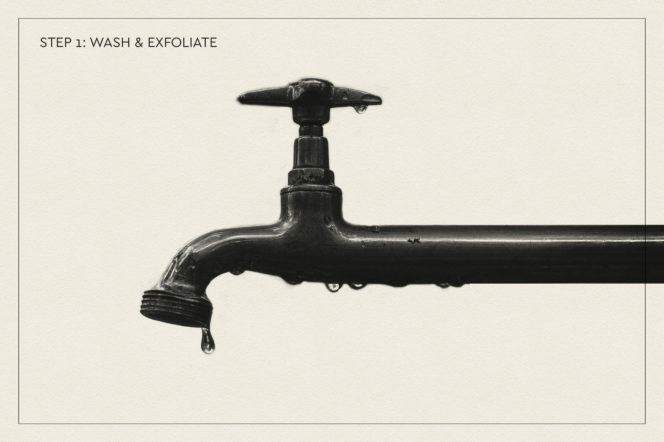 Warm water and a good exfoliator will not only clean your skin of everything it encountered the day before but it will also soften the hairs for an easier and smoother shave, says Bodenham. 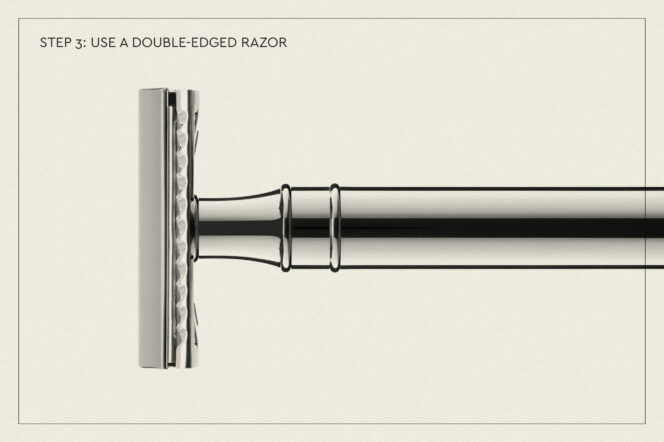 Doing this straight after a shower is ideal — and prepares your skin perfectly for the incoming razor. 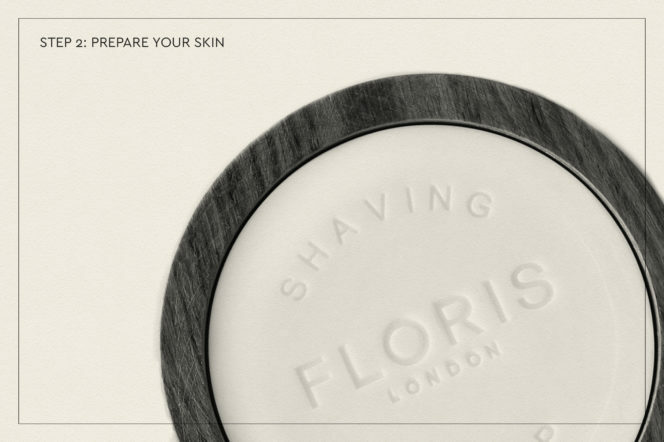 Once your skin is clean and hairs soft, it’s time to apply your choice of either shaving soap or shaving oil. Bodenham preferred the traditional badger brush and soap bowl in his youth, but has recently introduced a shaving oil that helps the razor glide over his skin and cut as close to the root of each hair as possible. He suggest you do the same. 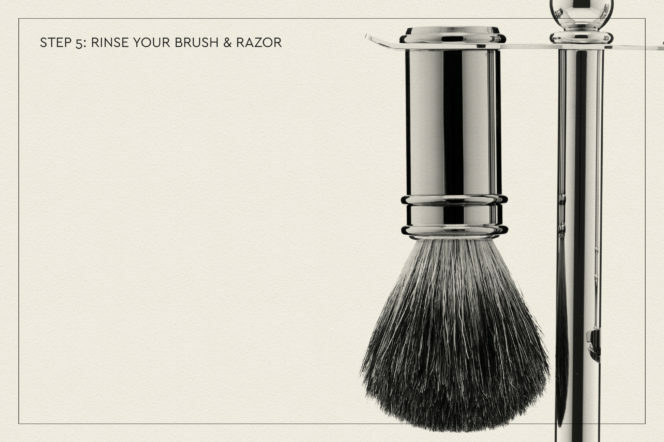 The right type of razor is key to the perfect shave, says Bodenham. A nicely-weighted one allows you to only apply a light pressure so your skin is not stressed, and doesn’t leave you with razor bumps. 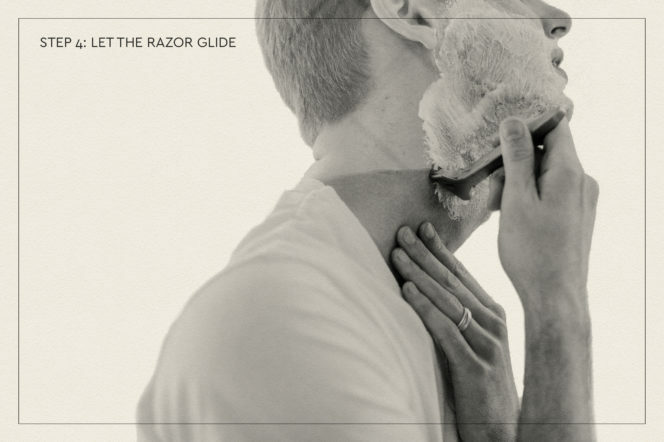 Also, making sure your razor is sharp is pivotal to getting a close shave, as a dull blade will pull at your hairs and cause major irritation. 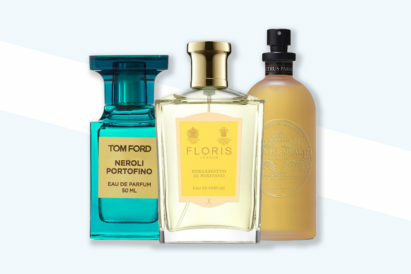 This goes hand-in-hand with having a weighted razor with a sharp blade, adds the director of perfumery. You should only need to apply a light pressure to allow the blade to glide over your skin. 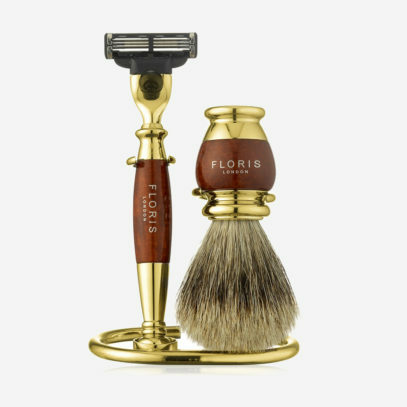 By shaving with the natural grain of your hair, it will stop the razor from pulling and instead cut smoothly, and closely. 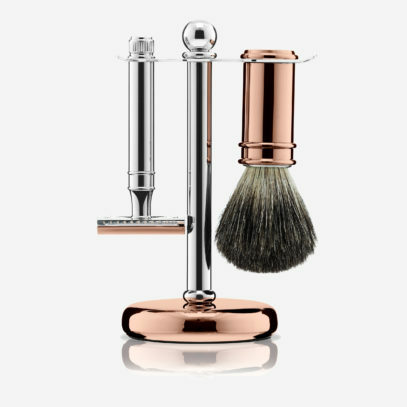 Cleaning off your razor and brush after a shave is very important, says Bodenham, and allows you to keep everything in top condition. Begin by rinsing the brush with clean water, flicking off the excess hair and then leaving it hanging on its stand with the bristles facing down to air dry naturally. This way, it will be ready to go the next morning and will last you much longer as a result. After all this hot water and pore opening, it’s time to close them back up and then keep your skin looking fresh with a cooling moisturiser. 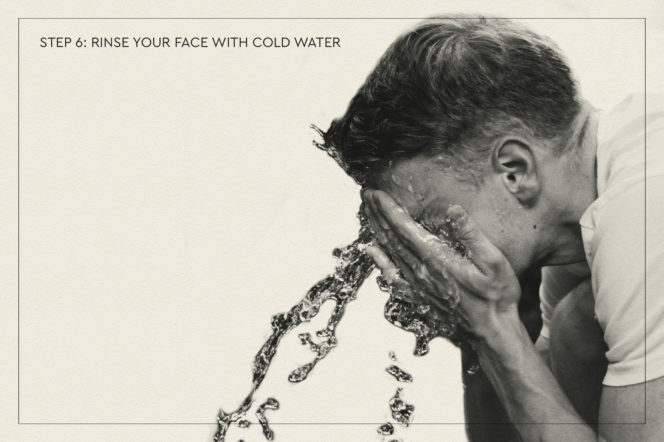 First, Bodenham recommends rinsing off your face with some cold water — this should wake you up if you weren’t already — and then apply a healthy amount of moisturiser, as your skin will dry out very quickly otherwise.